The Polynesians once called the island of Rapa Nui "the End of the World of the Living". Some time later, an early European visitor mistranslated the original Polynesian name of the island as "the Navel of the World". ;P And thus was born the great tradition of tourists screwing with Rapa Nui, which to this day is known as "Easter Island" because apparently the people living there already weren't Christian enough. 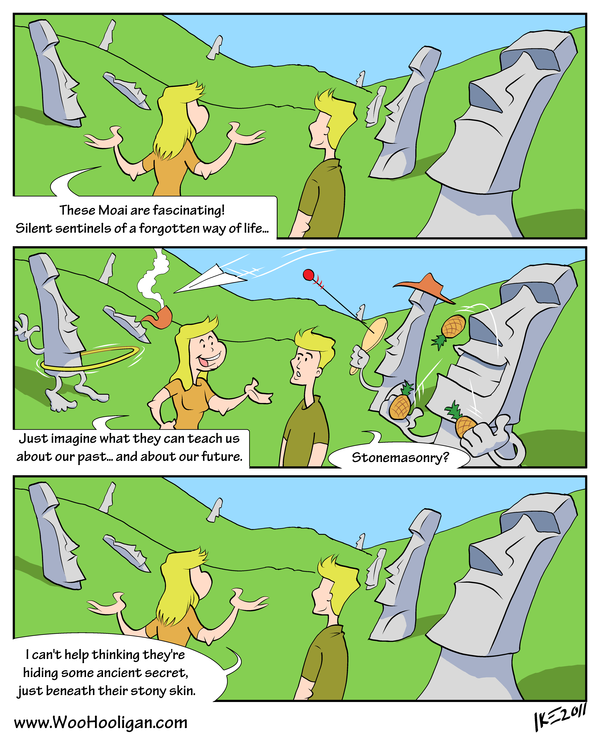 Can you blame the Moai for screwing with us? Pretty labor intensive joke, but then again they weren't busy texting the days away.